A veteran adventurer was preparing for his retirement when his former disciple returned to the village, intending to recruit the old man to his party. Filled with regret due to an incident that happened in his first party, the old man rejected his offer. Being affected by his disciple’s adventurous spirit, the old man leaves in hopes of reigniting his long lost dream, to become the strongest adventurer that ever lived. Story is not bad at all but unfortunately the world is too simple. It seems to be based on a overly simple game that prevents a sense of reality from developing for me. If you like reading the same two to three paragraphs each chapter, sometimes multiple times, then this is the series for you. Holy crap does the author love to repeat himself like an elementary schooler trying to pad his word count. I'm serious, he re-treads ground like an obsessive treadmill enthusiast, and it really adds to the monotony. The story is generic, just add 20 years to the standard protag's age and expect him to act roughly the same as every other MC. He hides his secret to incredible power from... more>> his old friend, lies constantly if it would remotely lead back to anyone else getting a chance at a new start, and then sighs at all "these youngin's that can't mind their manners" when dealing with someone who's walking 1. With a level that makes him look like a rookie/idiot, and 2. With the garbage, throwaway class that can only really leech from parties (but it's super OP for him, because secret hidden knowledge he refuses to share). He's literally the only person on the planet who has put any effort into learning how to properly swordfight, since nobody else has mastered his incredible skill of "deflecting blows with a sword, instead of taking them to the face." It's literally a world full of idiots and mooks, no exceptions. 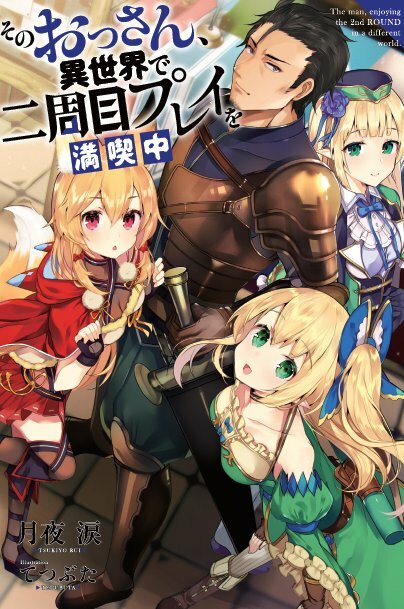 A fun, light isekai with a slight twist. Still, this is a Japanese light novel at the end of the day with all the usual flaws. Just that the MC is not a dense teenager. If you like Japanese light novels and like the synopsis, give this a shot. If you don't like Japanese light novels, don't waste your time. This is a light read, not too long not too short it is enough to get your intention. As of where I am reading there are no lengthy explanation about food or monster hunting. The story is about a lv50 36year old man with the lowest stats possible and for that he can't level up any further. By chance he got the opportunity to reset his level and stats to level 1 and got a better stats for every level up thus his second chance.